Trust me, you want to be the one in charge of beverages this holiday season. Let’s face it, you’re going to want need something to sip on when that crazy uncle corners you in the living room and grills you on the election. Aaaand, if you are indeed participating in awkward family drinking rituals, why not at least make it a beverage of your choosing. My feelings about punch are well documented. They’re easy to make in advance (even encouraged), they’re festive, and they’re absolutely packed with flavor. So, when I tell you that this particular punch is undoubtedly the best I have ever concocted, I don’t say so lightly. Make this punch. Some of the ingredients can be a bit tricky to track down, but I recommend checking a Mexican market. Be sure to make it the night before, not only to save time, but also so that all the goodies can soak together like a big, crowded, friendly, communal spa. Oops, wrong visual . . . but you get the idea! 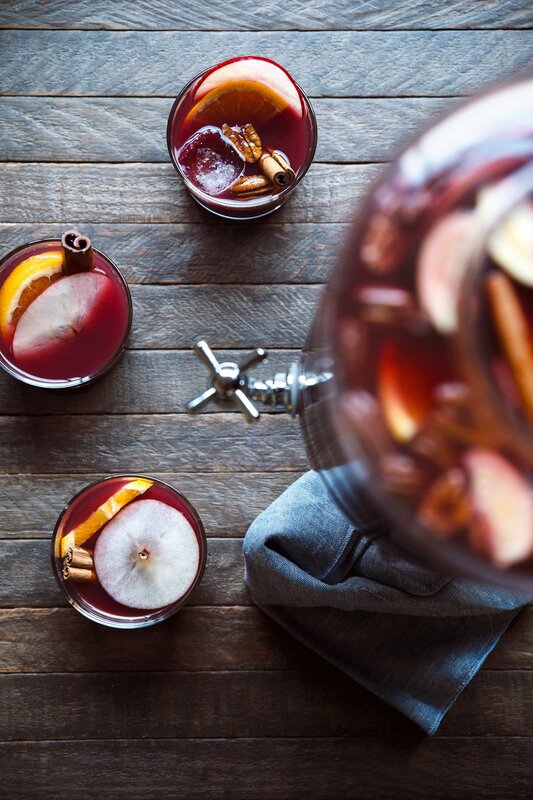 Ponche Navideño is a traditional Mexican Christmas punch, made with an intoxicating blend of fruits, nuts, and spices. I took a few liberties with my version, namely, I chose to serve it cold rather than hot (although it’s delicious either way). If you’re familiar with the traditional recipe, you’ll notice a few other minor tweaks. 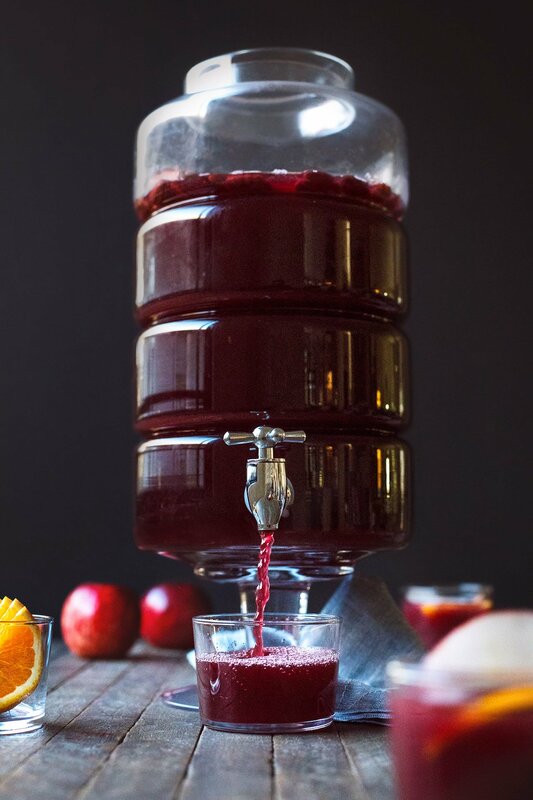 However, I made sure to preserve all the ingredients that I believe are vital to giving this punch its unique identity: tejocotes, hibiscus, guavas, and tamarindo, to name a few. 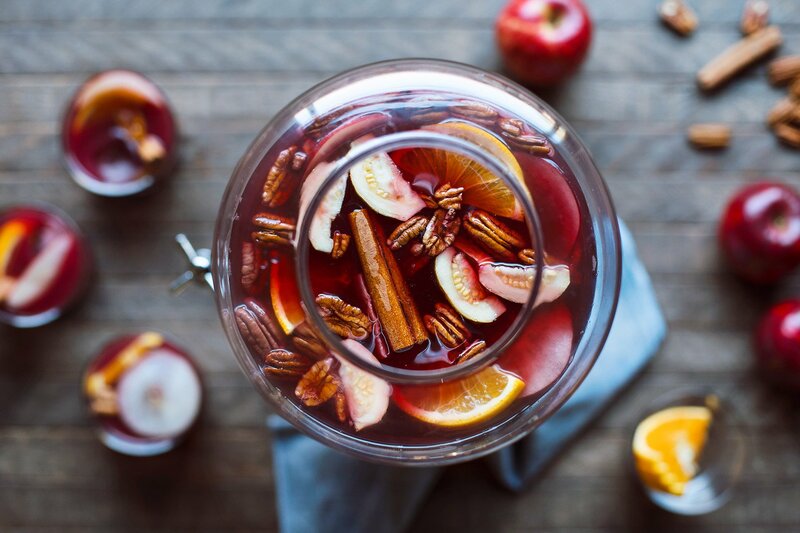 Our take on the traditional Mexican holiday punch loaded with fall fruit and warm spices. 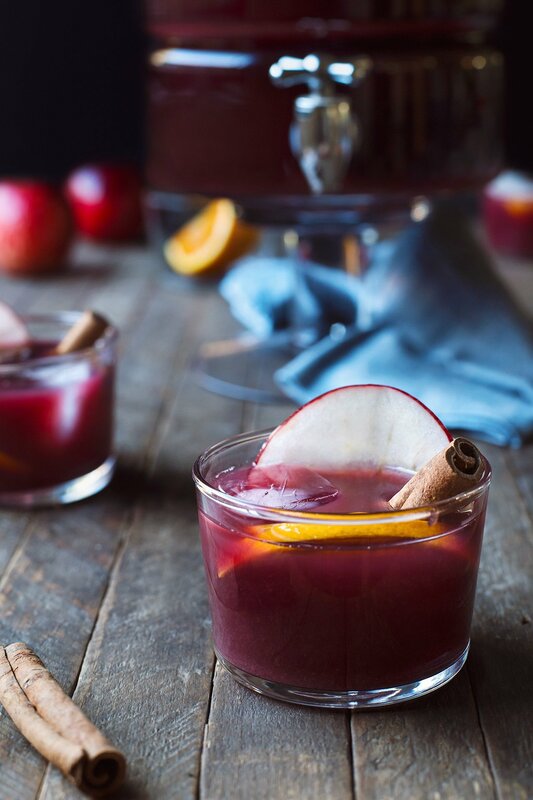 Serve this punch warm or cold, non-alcoholic or with rum; it'll be a hit any way it's served! Boil 6 cups of water. Turn off the heat and add the hibiscus. Let steep for 15 minutes, then remove the flowers. Set the hibiscus water aside. In a large separate pot, bring 6 cups of water to a simmer, add cinnamon sticks, tejocotes, and pilloncillo and let simmer until the pilloncillo dissolves, about 10 min. Add the remaining fruit, dried fruit, tamarind, pecans, and the hibiscus water, and simmer for 10-15 minutes. Remove from heat and let cool to room temperature. Cover and place in the refrigerator overnight. The next day, remove the ingredients that have been soaking, and pour into a serving container (beverage dispenser, or punch bowl with ladle). Add Jamaican rum to taste, or keep it non-alcoholic and have guests add it separately to their individual glass. Garnish the punch with assorted fresh ingredients (guava, oranges, apples, cinnamon sticks, etc). Serve chilled over ice. This is the best punch I’ve had in years; so complex in flavor but really well balanced. And different from any punch I’ve had in the past. I want more! GORGEOUS, Todd. Also, I want to drink all of it. Yum yum.